Best package for outdoor events. Get top of the line promotional materials for your next outdoor event or business promotion, and get discounts when you bundle your promotional materials in our convenient show pack. Perfect for events at the BIC, outdoor events like the Hampshire County Fair, cycle or racing events, or one of our many festivals. 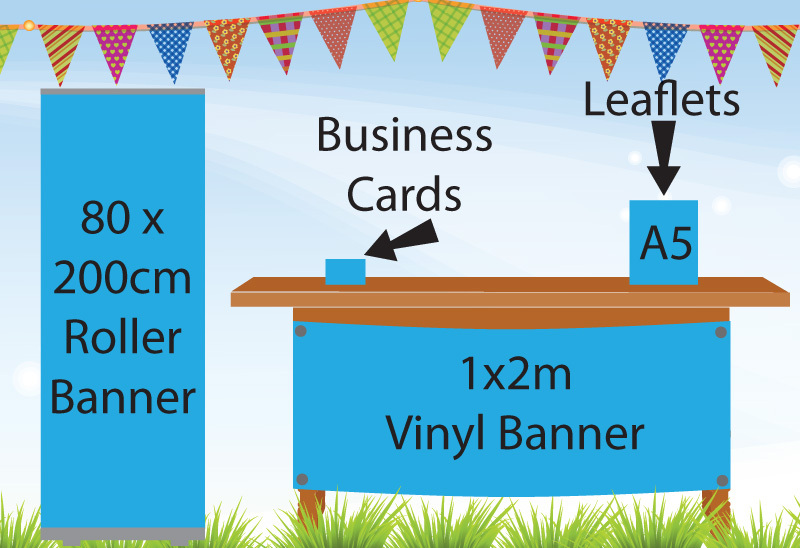 Beautiful custom promotional banners, leaflets, and business cards will help attract customers to your location and promote your business or organization. Save money on promotional business items when you bundle them conveniently in our Medium Show Pack.